Williamson County resident Stephen Siao is one of several Tennessee residents on the floor in Cleveland contributing to the Republican National Convention. Siao was the former director for Sen. Ted Cruz campaign in Tennessee and in Georgia. He witnessed the arguments on the floor on Monday afternoon, as some of the delegates tried to urge the convention to do a roll call on the rules. 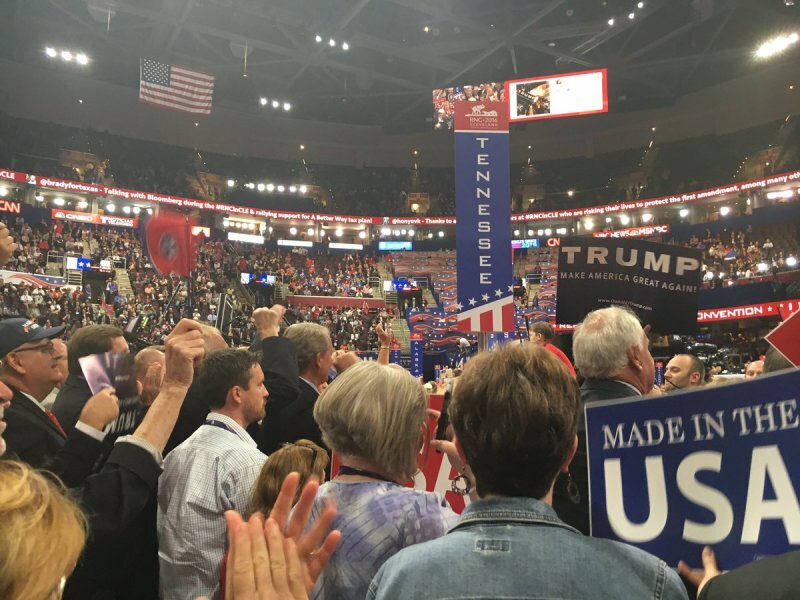 Some of those in the Anti-Donald Trump contingent wanted the roll called, so delegates could vote how they wanted. As Trump became the nominee on Tuesday night, Siao said he was obligated as a delegate to still put forth his vote for Cruz. Tennessee casted 33 votes for Trump, 16 for Cruz, and nine for Sen. Marco Rubio, who won the vote in Williamson County. Siao said he grew up watching the conventions like he’s attending this week, which has made him excited to be a part of the Ohio experience. It also lead him to start a teenage club for Republicans in Williamson County.